Higher than expected levels of the potent short-lived climate pollutant raise questions about whether natural gas can be an effective bridge to lower emissions. 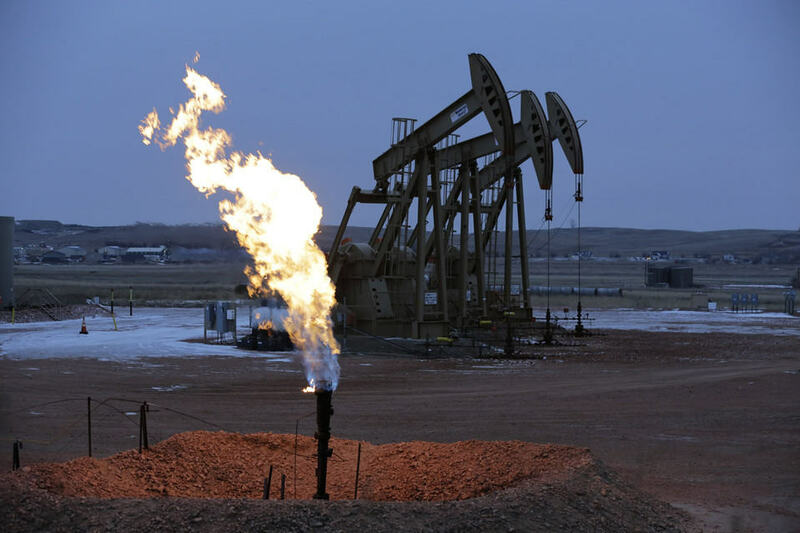 All of us should be concerned about how methane emissions from natural gas production, especially fracking, are negatively impacting our air quality. There has been much controversy for years over how much methane is produced from oil and gas production, and many people (including some EPA whistleblowers) have asserted that emissions are far greater than official EPA estimates. This new report from EDF confirms that methane emissions are much higher than the estimates that underlie regulatory permit programs. On the economic side, these methane leaks waste $2 billion in energy every year. That’s enough to heat 10 million homes. Inside Climate News' Sabrina Shankman summarizes the study's findings - and implications - below. "The amount of methane leaking from the nation's oil and gas fields may be 60 percent higher than the official estimates of the Environmental Protection Agency, according to a new study in the journal Science. The study, led by a group of scientists from the Environmental Defense Fund (EDF), presents some of the most compelling evidence to date that switching to gas from dirtier fuels like coal might not be as effective a climate strategy as its proponents suggest unless the gas industry improves how it controls leaks. "It starts to have a material effect on just how clean a fuel natural gas really is," said Ramon Alvarez of EDF, one of the authors of the study. Methane is a potent short-lived climate pollutant that doesn't linger in the atmosphere nearly as long as carbon dioxide, but has a more powerful climate impact in the short term. With oil and gas production rising rapidly, it's especially urgent to bring these emissions down. The Trump administration has been attempting to roll back various federal regulations on emissions of methane. Its approach is tangled up in several court cases, some involving EDF. The study in Science is the culmination of years of work by the team at EDF and other research scientists. In 2011, EDF launched a project with researchers from over 100 universities and with joint funding from foundations and the natural gas industry. The goal was to look at a wide swath of issues related to methane leaks and ascertain just how much methane was getting into the atmosphere. The study released today builds on that earlier work, as well as research by scientists outside the project. The authors analyzed measurements from more than 400 well pads in six basins, from various facilities and components used in oil and gas production, and from aerial surveys across regions with oil and gas infrastructure. The aerial surveys confirmed the spot check findings, making the results more robust, Alvarez said. It resulted in a comprehensive estimate for methane emissions. One notable finding was that acute episodes of leaking due to sudden equipment failure or operator errors—not chronic conditions—accounted for a large amount of the deviation from official estimates of leakage. Using helicopter surveys with infrared cameras, Alvarez said, they were able to find a likely culprit for these large leaks. "Ninety percent was coming from tanks—the vents and hatches," he said. "These tank vents are designed to release pressure because otherwise they might burst. But why are they venting so frequently?" Robert Jackson, who studies methane leaks at Stanford and was not an author on the study, said that the failure of the companies to report this kind of leak might help explain why the EPA has missed them in its emissions data. "A company that finds such a leak might view it as an exception rather than as normal for their operations, so perhaps they don't include that in what they report." he said. "These large emissions are unusual but they're real." Alvarez's hope is that a combination of research and reporting from industry can help fix the problems and stop the leaks. The study's authors said there is an "urgent need" for methodical surveys and measurements of these leaks, which must be followed by corrective measures." One of our methane experts adds this. "Today's EDF report may be a bit on the conservative side at 2.3% leak rate, perhaps because these researchers are limited to access when granted by an operator (in contrast to surprise visits by government inspectors). For natural gas global warming potential to equal that of coal, a leak rate less than 2% is required.5 If these fugitive methane emissions were assessed on their 20-year global warming potential of 86 times compared to CO2, instead of the 100-year of 36 times6 that EPA uses, that would demonstrate the vastly greater retention of solar radiation from natural gas compared to coal use. EPA reporting that green house gas emissions are lower in recent years is therefore incorrect. Natural gas as the so-called 'bridge fuel' (part of both national parties 'all of the above' energy strategy) has been a disaster for climate stability by adding more heating than coal use and by delaying renewables with cheap natural gas." Environmental Defense Fund for example concludes new natural gas power plants reduce climate impacts compared to new coal plants as long as the leak rate is below 3.2%, “EDF The climate impacts of methane emissions, What will it take to get sustained benefits from natural gas”?, April 2012, https://www.edf.org/energy/methaneleakage. This is based on a GWP of 86 over 20 years, using GWP of 125 with feedback over 10 years, a leak rate of 2% is required for natural gas plant GHG emissions to equal that of coal plants.